At the biginning of the year 2011, I received sad news from Bonn, Germany. He is now sleeping here in Bonn with his Hakoniwa Bonsai. †It is with great sadness that my close friend, Dr. Jasim Uddin Ahmed from Bangladesh, passed away peacefully in his sleep on January 7, 2011 in Bonn, Germany. It was on September 17, 2010, when we met last time in Bonn. Jasim was my roommate when we first met at the dormitory of Herder Institute in Leipzig, East Germany, in 1972. I learned the method of multi-cultural symbiosis much from him, a devout Muslim economist, especially after the collapse of Berliner Wall. He and I once called "TO OUR CLASSMATES OF THE OCTOBER 1972 GERMAN LANGUAGE CLASS OF THE HERDER INSTITUTE LEIPZIG !" † Dr. Jasim Uddin Ahmed was once an Assistant Professor of Bangladesh Agrarian University. But he lived in Bonn, former West Germany, with his wife Karola after his study in East Germany. 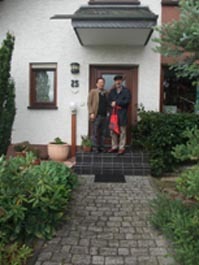 We could meet often in New Germany after 1989 and discussed on the problems of really existed socialism, Asian economic growth and the meaning of human beings and religions. † He loved Asia and Japan. 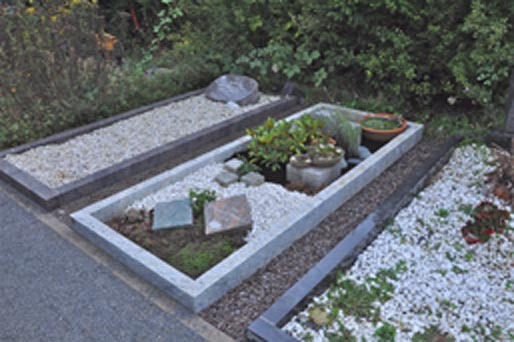 He made "Hakoniwa"[a miniature] garden at home. He was a very clever and spiritual person to grasp the nature and societies. † He loved and respected his German wife, Karola. We discussed together much on the democratic revolution of East Germany 1989. †Our final meeting in Germany was in September last year. It was my long dream to invite Jasim and Karola to Japan. But his heart desease could not allow him to realize our dream. It was very regretful. † Karola made Sushi when I visited him last time. It was very colorful and delicious Sushi. Jasim slept eternally three monthes after our beautiful dinner.